I’m always looking for new ways of of using common household materials in a survival situation. The other day I came across how you can take old newspapers and turn them into logs that can be used for fuel similar to any other log. 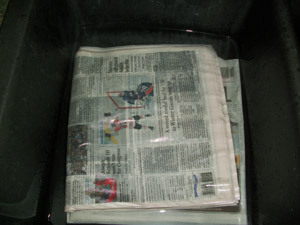 The first thing you need to do is soak the newspaper it a sink or bucket. It helps to separate the newspapers into its smaller sections. After completely saturating the paper (usually by soaking for at least an hour) pull the paper from the water, let it drain completely and then lay it out into sections of 1-3 sheets — staggered much like fallen dominoes. 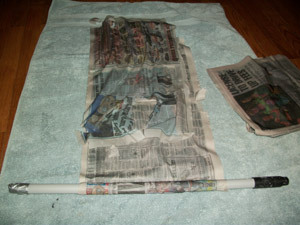 Then take a dowel and roll the wet paper around it squeezing the paper as it’s rolled to ensure that it sticks together. Continue with the above step until you’ve rolled the newspaper log into your desired thickness. Slide off the paper log and let it dry for a few days (a lot quicker if you place it on a woodstove, outside in the sun or in front of the heating vents. Basically anywhere where the moisture will come off quicker. If you’ve made these correctly, they should be pretty dense. Because of this, you cannot simply take your bic and light them up like you would newspaper. Treat them just like any other wood log in that they require smaller sticks or kindling to light. And just like wood logs, you’ll need a good bed of coals or at least a pair of logs to maintain the burn. These paper “logs” will also produce more ash than traditional logs. Just be sure they are completely dry before burning and you’ll be able surprised at the heat output that your old newspaper can give off. Thanks a lot man you just saved me a bunch of money and this is a great way to recycle too! 🙂 Nice John. Thanks for visiting. 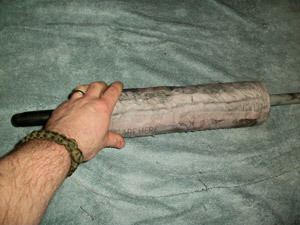 Several years ago we bought a “newspaper log roller” from one of the big-box home improvement stores. It fed and pressed the paper against a metal, hand-cranked rod, while squeezing out the excess water. It worked pretty well. I don’t know if these are still available anywhere. I have actually seen these still available. However, I heard they don’t provide the needed compression that allows it to burn long (since you roll the newspaper dry). Wetting the paper first and then rolling provides a nice solid log. A good idea but it would take ages. An easier way is to buy a fire brick maker which compresses the papers into little bricks. That’s a sweet little tool. I’ll have to look into that. Thanks for the tip. Does anyone else find it a bit amusing you’re taking newspaper, which is made from cutting down tree’s, cut to shreds, and made into paper- and rolling it up to make a log out of paper? Don’t get me wrong, it’s a good idea. I just find it very ironic. I know, a bit ironic isn’t it. 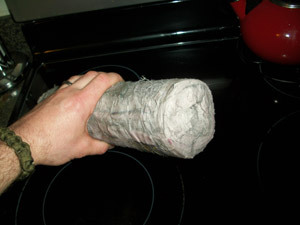 In a survival situation newspaper is far more valuable as a fire starter than as an actual fuel source. You are taking an excellent kindling material and wasting a large amount of effort and resources making it into a mediocre log. The water you used to soak the newspaper would be contaminated from both the ink and the paper itself (newspaper is pretty nasty stuff). This is also extremely dangerous advice because newspaper would never dry out in an actual cold, hostile environment. The person following your advice would have just rendered their fuel source useless. I’m not trying to sound like a jerk, but come on. This advice is impractical at best and deadly at worst. I think the point would be to make them now. If these would burn as well as, and as long as, real wood logs, I’m sure the decrease in weight would be awesome; no one’s going to be carrying real logs around though, so the benefit is just having the fuel. Plus you aren’t carrying around flammable liquids, which can spill and be wasted, and possibly even get in your way or hurt you. Kindling is easy to find, and if it has snowed or rained, you can always break your log up. OHHHH and also, the real point is that it’s just kinda cool. I wonder what the energy density (caloric content) is for newspaper logs compared to oak. We burn mostly blackjack oak for winter heat, and it is such a dense fuel source that i’d never consider replacing it. It has also got to be much more environmentally friendly to burn wood cut from a local source rather than newspaper that has been bleached and dyed (and who knows what else) I agree with cognitus that the olny way I’ll ever burn newspaper is as a fire starter. That said, has anyone ever tried to make lye soap from their ash? I’d be willing to try it. While I agree fresh water should not be used, grey water would be acceptable. I could see old dish water (after it’s reached it’s end) being used to soak the paper. However, depending on the ink, you could be firing up a real mess. However, I have been looking (not seriously, just a glance really) but alot of newspapers are using soy based inks now. I would also think animal fat might be used in a pinch to help it burn. And think – the perfect fire smells like BACON! I’ve done this before, and it does work quite well. One thing I do different is when I remove the dowel, I put some coffee grounds in the empty space before pinching off the ends. Generally, I’ll do it to every 5th or 6th paper log I make. When I use these in the fire pit, they make a great aroma. I definitely wouldn’t do this in a fireplace though, as the smell does tend to linger (as well as the aforementioned problem the huge increase in ash deposits from using paper). I think this is a great Idea. Cognitas I see your point but I believe you are missing the point. You would do this before the disaster not after. Create a good stockpile. There are mind boggling amounts of paper being wasted every day. I would rather see it used as fuel, than rotting in a landfill. Also burning paper is just as carbon neutral as burning wood. Now personally I would rather build with the paper, ie papercrete , but this is an idea that I will give some attention. It’s a good idea to do this IF you could’nt get wood in a real world situation, and IF you have a way to burn it. If you are planning for an emergency, better to have somewhere to go where you can access all the things you will need to survive. Our papers go into the bottom of raised beds, and for starting fires in the woodstove, as kindling. We are planning for “seamless integration”-woodstove, wood heater, kerosene lamps, etc. Luckily, my spouse was raised with no electricty or indoor plumbing, so our transition would be easi(er), although certainly not easy. That said, I’m proud to see so many people at least thinking about how to save their butts in an emergency situation. I have made soap from canned lye, I don’t imagine it would be so different made from potash….. Just not sure of the amount that would be necessary to do it…..
Just out of curiosity, is there any added danger to burning these home made logs because of the chemicals used to make newspapers? It sounds like a great way to recycle, and a good idea for emergencies, but I’m concerned about the effects of breathing the air around the fire made with these. Surely, this could be bad for your health? Most newspaper printing companies nowadays use soy ink since it is non-toxic and safe for the environment and not dangerous when burning. I’m not sure of your particular brand of newspaper though. It would be best to call them up. I don’t see how newspaper fits into this prohibited list. Please explain. “newspaper logs ranked third worst for particulates (tiny particles that float around in the air and cause big problems for asthmatics and others with respiratory conditions), and worst of all for carbon monoxide (a poisonous gas that causes problems for everyone).” seems to me that makes it an unsafe way to recycle. 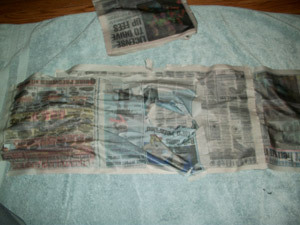 besides, the best use for old newsprint is new newsprint imo. I think you placed the wrong link on the site. It points to “Prohibited Fuel Types” for Washington State. Do you have a link to the Seattle Times article you’re referencing? I would love to read that. Keep in mind that many of the subjects that I write about (this article included) on this blog are for staying alive during a “survival situation”. In these cases, many of the things we should follow on a day-to-day basis are not appropriate. For example, if it’s a choice between irritating particulates clouding up the air or your family freezing, I would lean on the side of keeping your family warm. Another example is burning a tire as a smoke signal to be rescued. A definite no-no in normal everyday living (toxic smoke etc) but if it means being rescued while trapped in a remote area, I would burn the tire. Thank you so much for your input and great comments! Wait. So, pardon me but I have quite the imagination. is it possible to make these logs on a much LARGER SCALE? Perhaps, large enough to build your own log cabin? Just sayin’. Somebody with lots of news and LOTS of time should do that. It’d be pretty badass; admit it. LOL. That would definitely be something to see. I don’t see why not, they make houses out of hay bales, why not newspaper? Well.. this is not “recycling” but “energy recovery”, like incineration. From an environmental point of view, the only good thing is that it avoids landfill. But the purpose of this post is interesting in the sense that it explains how to arrange sheets of paper in structure that allows continuous slow burning. 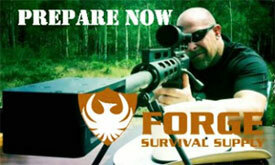 Useful in survival situations. I love this idea, it would be a great way for fuel for a weekend campout with small children, you don’t have to cut any wood, so the chances of the kids getting hurt is less. I would stuff the logs with recycled lint from my dryer as a easy way to start the logs on fire, we use twisted lint logs as kindling and it recycles it too. Less landfill and it lights up easily. This is a project I plan to do with my children this summer. Thanks so much for sharing. You’re very welcome Tara. Thanks for the great idea of stuffing the logs with dryer lint. I’ll try that out! 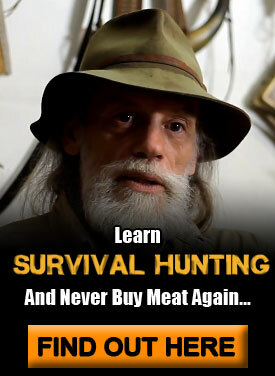 Nice survival gear idea. I agree with the comment that newspaper would be better for kindling. I also dont see the irony in reusing newspaper as a fuel source. We chop down trees for firewood, why not reuse newspaper as a fuel source. Anyway, most newspapers have some much b.s. in them they probably do burn for hours. GREAT idea! May I include your article into my real estate newsletter for the next monthly edition I print if I mention http://www.tacticalinteligence.net? Free advertising for ya! Great idea to take camping! We are on such a restrictive ban on transporting firewood to campgrounds – they insist we buy it locally at very expensive prices. You have to show your receipt of where you bought your wood! Wonder what they will say when we have a campfire with these? Thanks for the ‘recipe’! how long would one of these last…or keep you full. If its like an mre one could last days? a day? A couple of years ago I was contemplating uses for the paper shredded at work (no plastics, cd’s, etc go in). Figured out some fire starters for the wood stove – they burned better and longer than wadded up newspaper etc. 1. Save/collect a bunch of mt toilet paper and paper towel tubes and shredded paper. 2. Fill a large container with paper shreds and wet them with enough water that they stick together. I also mushed them together to help binding. 3. Tightly pack the tubes with the wet shreds. 4. Let dry (I left them on a sunny windowsill for a week or two till dry throughout). I love the smell of coffee; good idea. Another alternative would be to put in sage to help keep the Mosquitos away as well as a good scent. I like this idea and I agree that the idea is to make some now for emergencies later. Where I live we are not allowed to store wood at all but paper is not on the list so these would be perfect for me. I wonder if you can use a muffin tin and some paper mash to make some briquettes? Lots of ideas swirling in my head now can’t wait for warm weather so I can try to make some of these! Btw I used to make my own kitty litter from newspapers and never had an issue, the ink was soy and I figured since that car had a nasty habit of eating my books he should be fine pooping on newsprint litter. Even his vet said there was no issues. I wonder if you stuff the logs with dryer lint if you can get them to burn inside out and if it keeps down the amount of ash particles… I have kids with asthma so that is an issue for me. this is a great way to get around the laws, about transporting firewood over state lines. We live in NH but we go camping in Maine….you are not allowed to bring firewood into Maine because of the bugs in the wood. 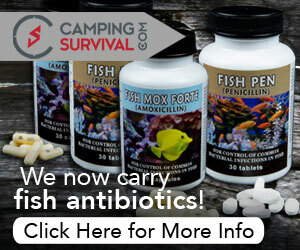 And buying firewood at the campsite or near it is expen$ive. This could solve that problem. I have heard radio commercials from California, telling people not to transport pine beetles. They block fuelwood transport to prevent outside diseases from reaching untouched forests. These do work well and because they are so dense they burn longer but are harder to keep burning. Another alternative that is easier and quicker is to roll any and all scrap paper such as newspaper, magazines, junk mail, etc. as tightly as possible until they just fit inside an empty toilet paper roll. The paper is never made wet so the layers do not pack as densely as when you soak the paper first but after a while, especially with magazines, they will hold their shape when the T.P. roll is removed. That way you can reuse the T.P. rolls over and over. You can roll the paper any length you want for your convenience. The rolls are smaller and lighter this way which may be more convenient for some. Either way, recycling is best when you get the direct benefit. I made about 50 bricks in about 2.5 hours with the one pointed in the linke, but man! my hands hurt after-words. It takes a lot of pressure to squeeze out the water, and you don’t, of course, get it all out. In fact a lot is still left in. It will takes weeks in the sun to dry them out. I won’t do it again. I value my hands. I have both the newspaper roller, and the brick maker. They both work, but it helps to have 2 people when using the roller. The brick maker can be used easily by one person, and works like a charm. I’ve found both to be very useful. Just have to decide if you want “logs” or “bricks” to haul with you. Soy ink has the same propensity for harm as petroleum based ink. The pigments, binders and additives are not safe for inhalation as per OSHA regs. They are toxic to use, are a carcinogen, cause reproductive harm and must be used in a ventilated area with a respirator. Just because it is made with soy doesn’t not make it safe. Don’t burn printed newspaper unless you have to. Its a fine idea with blank paper. Thank you for this advice, I would just ignore the ignorant comments from people who live their life in negativity. This a great idea and I have been stockpiling these for a while, and as far as storage goes, newspaper does not attract colonies of insects/animals when stored! Keep up the good work. Make firestarters out of candle wick wrapped in newspaper then dipped in wax the same size as the dowel and stick one in each end. Self lighting logs. i have been rolling my paper logs dry then soaking them in water for 2 days . wouldnt this be the same?? To make wood also means to increase the value of the firewood. To use it in an efficiently way I recommend to use a modern, wood boiler. So, if you own a house an easy way to save money is to use firewood instead of oil or gas. beneficial information to work on. You have done a extraordinary job! Crazy I came across this as I just talked about something like this today while throwing pounds of garbage flyers away. If you saved these up all year you’d get essentially hours of free heat. I imagine if you compressed them they’d burn longer. How would I go about making logs out of shredded mail. This is the best post here so far. If only some other posters had your common sense – well, so much for wishful thinking. Thanks for the guide and the suggestions throughout. Trying to find a way to help extend heating budget by using papers left behind. I do wonder though what people think happens to papers when they recycle them…not to mention the wastewater/air pollution created by the powers that be that simply recycle your junk mail into more junk mail. Why not turn it into something YOU can USE, instead of more flyers for S–t you’re never gonna buy. And, for those opposing people using trees for fuel….so, which fossil fuel do you use to heat your home…? Thanks again, and coffee scented heat will probably make my mother in law even happier. I have one but it is much more difficult and time consuming to use than the brick maker. Look at Lehmans.com for all kinds of useful gadgets and supplies. Shredded paper can be saturated then molded into shapes and let to dry using anything you can pack it into and squeeze the water out of it. Some have used pvc piping to make larger pellets. You can also put in small sticks, etc. Oh, soooo ironic! But at least it’s giving back instead of taking away. I can’t wait to try these logs! I’m making them this week so they’ll be good and ready for our camping trip to the Red River Gorge here in Kentucky at the end of this month! Thanks so much for the wonderful instructions! Here you go, check out this link. what about using plain cardboard? I have access to lots of cardboard, no glossy coating, just plain old cardboard. I have a paper log press and am soaking sneered cardboard to use. Has anyone else tried this? Is it the same principle? Thanks for all your efforts and info. This is an idea I have thought of and your site has shed alot of light. After some additional searching, the idea is just as ambiguous as the internet itself and many of comments made here. maybe some of these sites will help others to feel more (or less) at ease with your great idea. What’s the estimated burn time of these Newspaper Logs? We burn a lot of our paper garbage anyway, though we do recycle newsprint and cardboard in various ways. The toxicity worries me a little, though it wouldn’t matter as much if used in a wood-burning stove. Some people say that it is worse than wood for chimneys, but I’m not sure about it myself. One thing I would suggest is drying them indoors during winter, if you live in a cold climate. In winter the air in our house is too dry. We use a humidifier and vaporizers. Sometimes I will even hang a wet towel or washcloth out. I still use our gas clothes dryer, though, because we can afford the luxury of soft clothes. However, paper logs would dry very well in our house right now, and provide us some much needed humidity as well. What if I just used reasonable length/diam twig/branch scraps inside my log rolls? Also, I usually buy bunches of Hanukkah candles to keep around for emergencies; they make great adjunct fire starters. And dry twigs, packed into tight rolls, tied, packed into tin cans, waxed, dried, stashed into pantry until needed, open other end of can, push out, chip off as necessary. Since I’m disabled, most of this can be done sitting down. I have never thought about this before, something to try, I’ve got piles of newspaper. I’ve known about using newspaper to make recycled papers. thanks for sharing, I got more. Coffee grounds can be used in growing mushrooms. Long forgotten time when everyone made do with what you could get.